I’ve got great news for you, mama. Your role as reluctant homemaker is over. Time to step into the household CEO position. You don't need to become a better homemaker. You just need to learn how to make homemaking better. You know that social media pictures aren’t reality, but you sure would like your kitchen to be a little closer to an ideal state. Or your kids’ toys to not take up quite as much of your entire home. You want to be the friend that invites everyone over for coffee and Real Housewives gossip, but the thought of having anyone in your home freaks you out. Everyday feels more like a marathon on a hamster wheel and less like an enjoyable life. Most of us aren’t interested in daily ironing and baking from scratch on the regular, but feeling like you have it together would be pretty nice. What if you sat down to a hot cup of coffee in the morning, looked around your house and you didn’t feel the entire weight of the world, of your world, sitting on your shoulders? No, you’re not in a dream or a Folger’s commercial. You may have seen a blogger or course that promises to get your home life on point, but I come at this whole thing from a very different standpoint. I will teach you strategy AND mindset rather than just throwing a bunch of tips at you that you’ve probably heard before already. You’re gonna have to think about this whole part of your life differently if you want it to work differently. And what you will walk away with is invaluable. You can grab the entire course, lifetime access, all the bonus content + access to the insanely valuable Facebook group for only $187. Enroll now for $60 off the regular price! Grab Homemakerish U™ + Go Organize Yourself + Your Kids and Chores: The Course right now for only $187, or three payments of $70 now! Click the buttons below to enroll at the sale price now! The total value of this course is over $3500. Homemakerish U™ meets you where you are. You don’t have to be at a certain “level” of motherhood to get value here. This isn’t a Super Mario Bros. Wherever you are right now, however many kids you have (or still plan to have) whatever level of overwhelm and stress you have, this programs comes to you at that level and helps you reach your household goals with more ease and purpose. When you enroll now, you get access to these mega exclusive bonuses! Let’s get organized! Go Organize Yourself is my signature home and life organization course designed to help you create easy systems that KEEP you organized. Room-by-room, space-by-space, you’ll get organized without needing difficult systems or expensive supplies. Drowning in stuff? Allie Casazza, blogger, podcast host, minimalism expert and my biz bestie is offering this exclusive decluttering and minimalism Q&A class recording just for Homemakerish U students. No more worry over meal plans and theme nights. You're getting access to this exclusive meal planning bonus from Angie Trueblood to take your boring theme nights to the next level! I’ve taken my one of my most popular web trainings and created a mini course, making it easier than ever to delegate to your kids (and spouse) because teamwork makes the dream work. This 8 lesson course is not available anywhere for sale and is exclusive as a bonus for students! You're also getting a ton of course bonuses thrown in, too! How will all the magic be delivered? Homemakerish U™ is made up of 12 value-packed and self-paced modules. Most of the content is delivered in an audio format so that you can easily listen anywhere or listen while you DO the training. Additional content is video and pdf-based. There is also a plentiful and ever-growing bonus section filled to the brim with lessons, PDFs and videos to take this program to the next level. Not gonna lie – it’s gonna be pretty rad and I really want you in on there. If within 14 days you feel like it’s not for you, I have a money-back guarantee. But what I don’t guarantee is results without doing the work. I will show up 150% for you, but I need you to do the same on your end. Deal? Wanna catch a sneak peek inside? Take a tour of the course below! So who’s doing the teaching here anyway? Hey girl, I'm Kendra Hennessy and I am a mom who’s been through the ringer and back again. Now, I want to shorten your time in Chaosville by giving you all the lessons I had to learn the hard way. But then I put my big girl pants on, worked through my crap, learned some game-changing systems and now my life is SO much more manageable and dare I say…ultimately enjoyable! "The day I first "met" Kendra on a webinar was the day I should have been on my way home from vacation. Instead I was crying on the floor because I was tired of having sick kids and all that it entails. I got on the webinar and somehow just knew things were going to get better. I was right. She's like your best friend who doesn't sugar coat it, is supportive, and is always there if you need her. The course is life changing. I will never see my house the same way again!" Look, if you spend your nights nonstop #pinterestscrolling, but looking at your actual house and thinking about your actual schedule is legit daunting, I think we should switch it around. Your house and your schedule should feel #pinterestworthy. Let’s get it there, girl! There is a 14-day refund policy. I know in some instances, it just isn’t for you, but know that you have to make the effort in order to make it work. If you put in the work, listen to the lessons and give it an honest try and it still doesn’t work you, just email us for a full refund. How about a lifetime? As long as the course is up and running, it is yours. As new content and bonuses are added, you get it all. If the price goes up, you don't pay any extra. This means you can come back to it as your life and seasons change. What is the live round? This is an exclusive opportunity to go through the course together, with me and thousands of other students. For 8 weeks, you’ll have support, accountability and a roadmap to help you jumpstart your life. I’ll also be providing a live support and Q&A call each week during the live round. This is a once-a-year deal and the absolute best way to see the fastest results. Plus, it costs nothing extra. Right now! This is a self-paced course, so as quickly as you enroll, you will be granted access to everything. I’d love to tell you that if you watch all the videos, read all the training literature, participate in the group and sleep with the PDFs under your pillow, that your life will magically change for the better, requiring no work on your part, but that’s a bunch of bologna. And I hate bologna. Yuck. It’s not even meat. The truth is, there is some work that you’ll have to do, but no more than you are already doing. The reason this course is so wonderful is because it teaches you the tools, strategies and mindset shifts that, if implemented, will make your life easier and more joyful. You will have to commit a bit of time to watching, learning and then implementing, but remember that you can go as slowly or quickly as you like. If you can only watch and implement 1 video a week, girl, that is okay. The course isn't going anywhere and each step you make gets you closer to where you want to be. It's an ongoing process. I work outside the home. Would this course still work for me? Absolutely! I have been a working mom since I became a mom, so that is what I know. I also stayed home for a bit after my son was born, and then slowly got back into my business, so I have lived both lives. This course works whether you work outside the home, inside the home, stay at home to raise your babes, own a business, have a side hustle or anything in between. 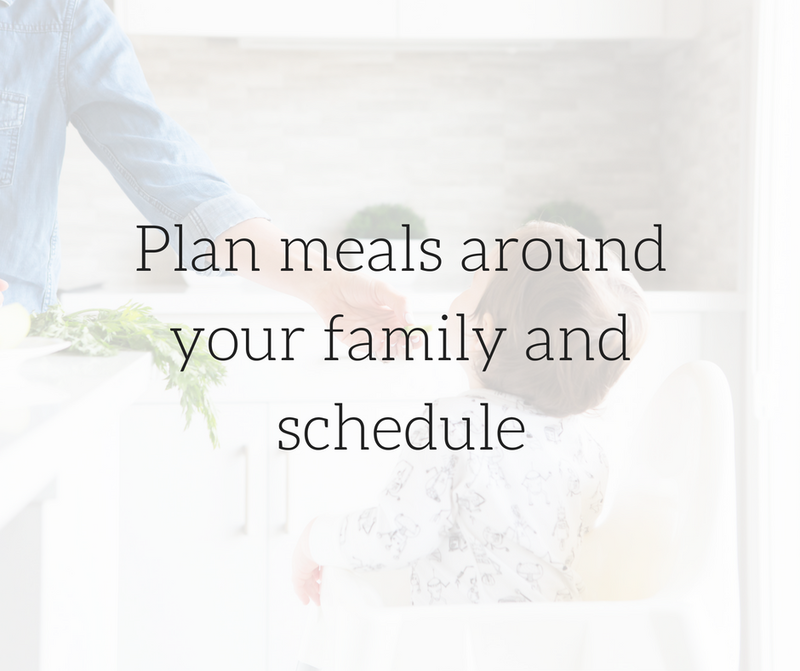 It is meant to show you the strategies and techniques you can use to uniquely shape your own schedules and routines that fit your family. We do offer a 14-day refund. If you give it your honest try, listen to the lessons and actually do the work and still find that it doesn’t work you, just email us for a refund. But here’s a bit a truth not many want to here: there are no guarantees because the progress is all up to you. I’ve put in the work to make this the best course it can possibly be, but once you enroll, the ball is in your court. This isn’t a magic pill. I don't want you jumping into anything without being 100% sure. If you have an questions please feel free to email me at info@kendrahennessy.com and someone from our team will be happy to answer all your questions within 48 hours.